Lorene Walker Nelson was born March 11, 1947, to Walter and Victoria Walker. Victoria later remarried, Titus Marks. Lorene and her older siblings were lovingly raised in Rison, Arkansas by Titus whom Lorene stated, "Was the best stepfather anybody could have." Lorene received her early education from the Landwood public school system where she graduated Salutatorian of her class in 1965. Upon graduation, she attended AM&N/UAPB in Pine Bluff, Arkansas pursuing her interest in nutrition. Lorene moved to Seattle in 1967, and began working for the United States Census Bureau; after many years of faithful service she retired. Lorene and her siblings were raised by devout Pentecostal Christians attending Tates Temple Church of God in Christ, in Rison, Arkansas. In 1986, Proverbs 22:6, "Train up a child in the way he should go: and when he is old, he will not depart from it." came to fruition, Lorene gave her life totally to the Lord, bearing the testimony that she was saved, sanctified and filled with the precious gift of the Holy Ghost, at Madison Temple Church of God in Christ under Pastor Edgar Gray, Jr.
Lorene later moved her membership to Greater Glory Church of God in Christ, where she faithfully served under the pastorate of Superintendent Sam L. Townsend, Sr. Lorene was called home, Sunday morning at 10:30 a.m., March 18, 2018, at Swedish Hospital. Lorene was surrounded by her loving husband, Pastor, and some of her family. Lorene is preceded in death by her biological father Walter Walker, loving Mother Victoria Marks, her "Daddy”, Titus Marks, sister, Francelle Hardnette, two brothers: Titus Marks, Jr., and Jerry Marks. She leaves to cherish her memories, her loving husband of 49 years, William Nelson, her sisters: Josephine Harding of Seattle, Dorothy “Jean” Davis of Memphis, Georgia Marks of Seattle and Cynthia Moore (Johnny) of Little Rock, Arkansas, her sister-in-love, Marie Marks of Seattle; two brothers Lonnie Walker of Monticello, Arkansas and Russell Walker of Little Rock, Arkansas. 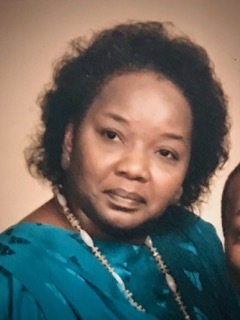 Lorene is also survived by her sister/friend of 55 years, Romanetha Stallworth of Louisville, Kentucky and her special Niece/Daughter Michelle Joseph (Damian). Lorene was Godmother to John Butler, Nathan Cherry, Jacqueine Cobbs(Tre') and many others. Lorene is loved by a host of in-laws, nieces, nephews, cousins, co-workers and friends. Visitation will convene from 6pm-8pm Friday, March 23, 2018 at Serenity's Personal Alternative Chapel 749 Central Ave. N Kent, WA 98032. Viewing will reconvene at 10am Saturday, March 24, 2018 until Homegoing Services at 12noon at Greater Glory C.O.G.I.C 6419 Martin Luther King Jr. Way S, Seattle, WA 98118.